We were called to this Leigh Safe in Chelmsford after one of the safe keys had become stuck in the lock. The owner had tried to force the lock and had snapped the key in the lock. A locksmith had attended and had removed the key, but left the lock still not working. 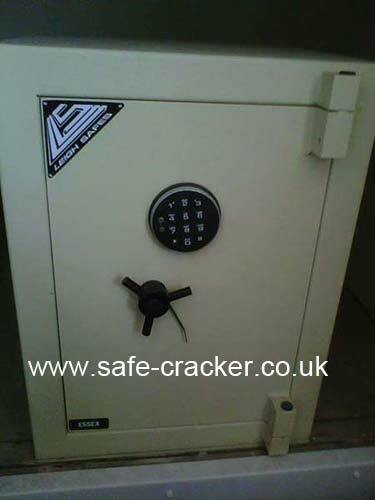 We were called and using a scope were quickly able to ID the problem and get the lock back working and the safe open. 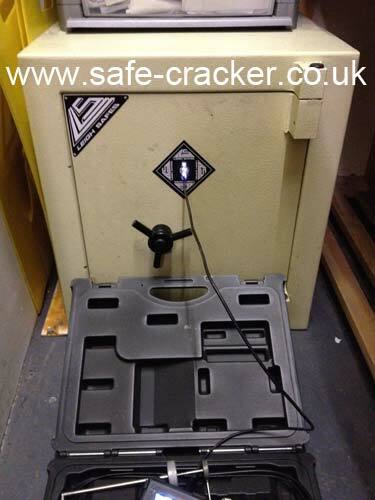 This leigh safe was found during the renovation of a house on London. The combination for the electronic lock fitted, a La Gard was unknown and could not be found out. We attended the address and opened the safe. A new new lock was fitted and a new combination set.